If you fancy a trip abroad but don’t want to get stuck eating salads for a week, we’ve got you covered. Vegan eateries have become increasingly popular around the world and seem to be popping up left, right and centre, so here are some of our favourite vegan-friendly cities and where to dine while you’re there. London’s culinary offerings surpass traditional afternoon tea and fish and chips by far. 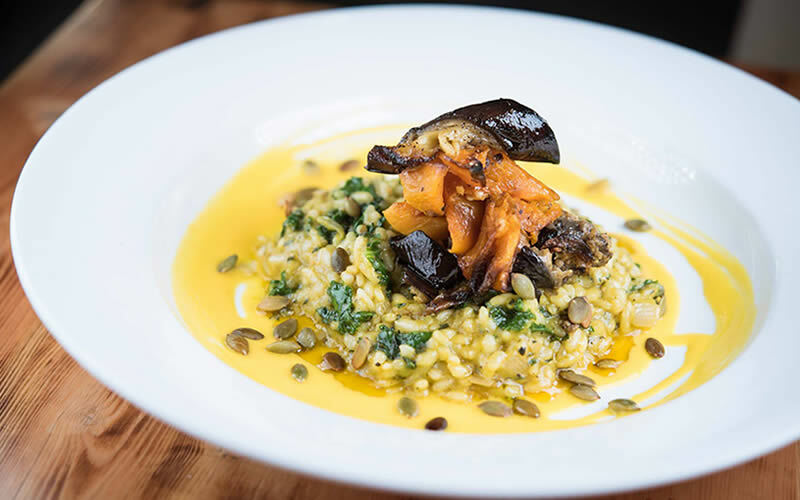 Whether you’re starving after a day of shopping on Oxford Street or you’re looking for a pre-theatre meal in Soho, there’s bound to be a vegan eatery for you. 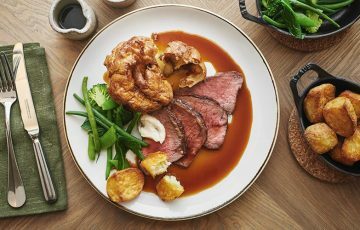 The Spread Eagle – As one of East London’s oldest pubs, The Spread Eagle is keeping tradition alive while celebrating London’s appetite for meat-free eats. Try their tacos, nachos and burritos – all delicious, packed with flavour and 100% vegan. Of course, The Spread Eagle also has the matching liquor to go along with your meal. 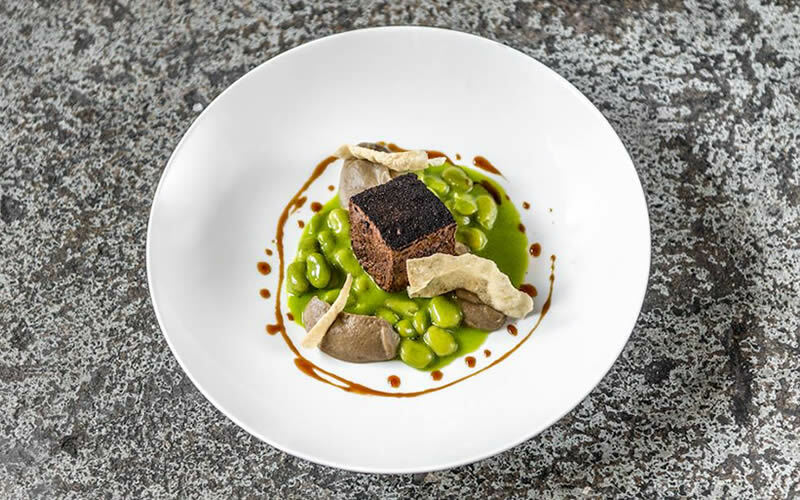 Vanilla Black – Vanilla Black is a restaurant for diners who want to enjoy truly forward thinking, meat-free meals. Since 2004 this London restaurant smashes stereotypes and offers truly scrumptious plant-based dishes. We recommend their 5-course tasting course menu. Who could resist dishes like fried shiitake, pine nut purée and crispy enoki as a main and coconut sorbet with toasted rice mousse for dessert? Genesis – If you’re looking for plant-based comfort food, then Genesis is the place to be. 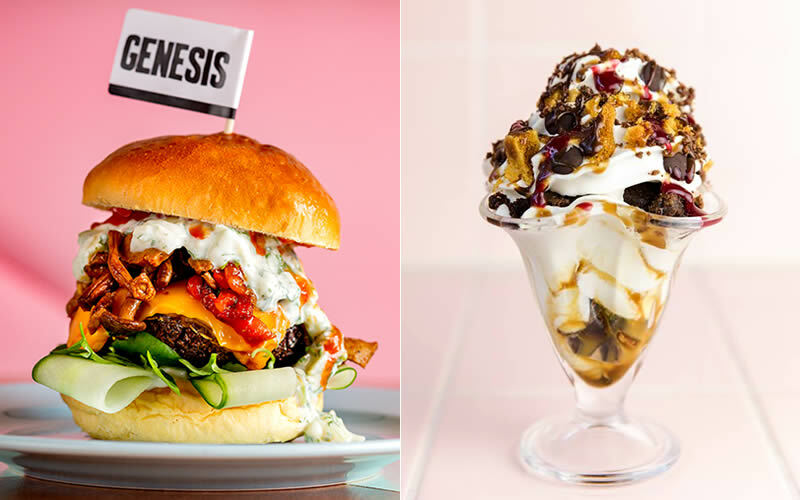 Here you’ll find kimchi fries, smoked ‘chorizo’ tacos, ice-cream sundaes and raw cheesecake. Who said vegans can’t do fast food? Germany’s capital prides itself on being progressive and open-minded, so it does not come as a surprise that Berliners widely cherish the vegan lifestyle. 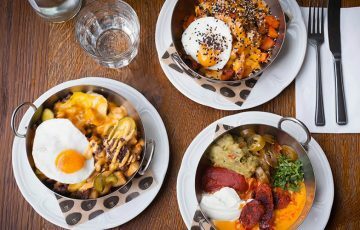 After a stroll around Berlin Mitte with its hip galleries and museums, there’ll be plenty of meat-free dining options for you to choose from. In fact, there’s hardly any restaurants left that won’t cater to the vegan diet. Soy – Vegan food doesn’t have to be all leaves and beans, it can be full of flavour and exotic spices, just like at Soy, a vegan Vietnamese restaurant in the heart of hip district Mitte. Expect to see trendy locals tucking into their Asian tapas. Cookies Cream – At Cookies Cream traditional cooking meets innovative vegan food creations. Dessert lovers will be pleased with plant-based offerings such as fennel ice-cream or hazelnut panna cotta. You might also spot the odd catwalk model or celeb tucking into their supper. Need we say more? The city that never sleeps is known for its diverse cuisine and has much more to offer than your standard burger and fries. 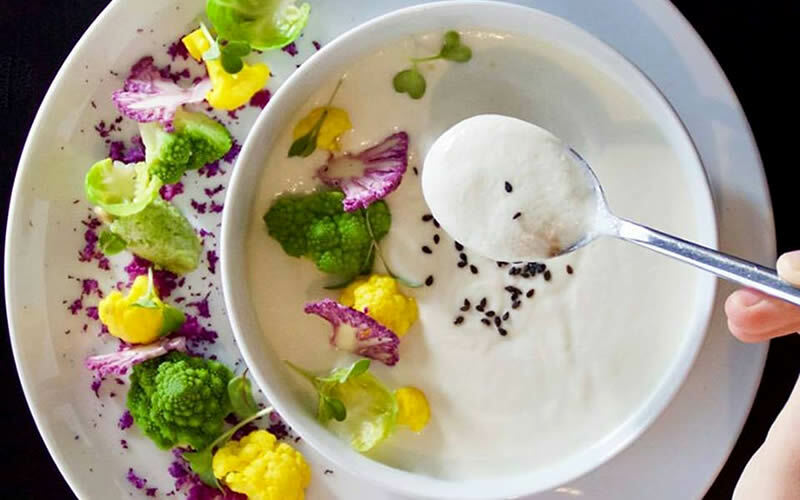 After visiting the Statue of Liberty or a shopping spree in artsy Brooklyn, we recommend checking out the following vegan gems that New Yorkers simply can’t get enough of. Dirt Candy – In 2018, New York Magazine named Dirt Candy as “The Absolute Best Restaurant on the Lower East Side”. Eating at this joint is like arriving in vegan food heaven. Order the Vegetable Patch – a 5-course selection of some of the menu’s greatest hits. Blossom – From Mexican tacos to Italian pizza and Israeli dishes, Blossom offers every vegan dish you could fancy – and they do it well. Plant-based food is fun at this vegan restaurant. You can visit the Chelsea original or check out their sister space on Columbus. Their cookbook makes a great souvenir. Delice & Sarrasin – Lovers of French food will adore Delice & Sarrasin, a 100% vegan French restaurant located in the heart of the West Village. It offers a range of authentic dishes, including savoury and sweet crepes. Très bien! Toronto’s vegan scene has come a long way in the past few years and the Canadian city prides itself on offering plenty of mouth-watering, meat-free options. Take a stroll around this dynamic metropolis with its soaring sky-scrapers and check out these hip vegan restaurants. 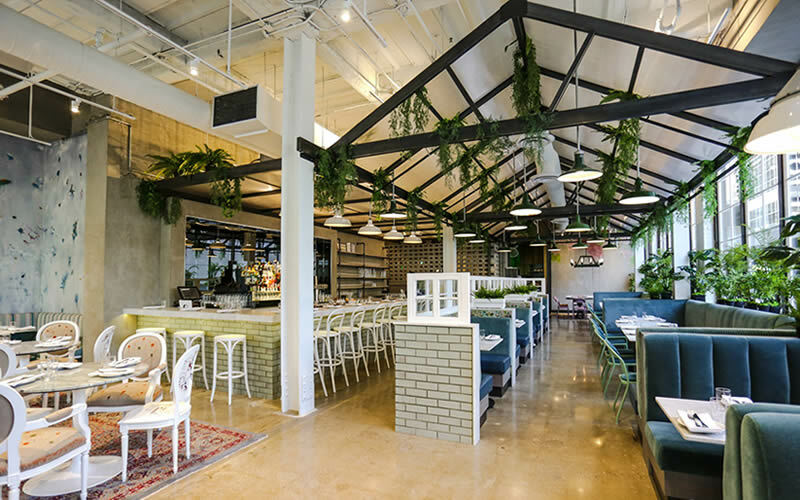 Planta – Planta offers something for everyone, from salads and small plates to pizza and brunch. Tuck into their ‘crab’ cakes or Southern fried tofu, enjoy a vegan milkshake, and finish off your meal with their sinful chocolate brownie. Rosalinda – Rosalinda offers vibrant, feel-good Mexican food in Toronto’s Financial District. The restaurant’s location is stunning and is reminiscent of a greenhouse with plants hanging from the high ceilings. Fresh – Fresh is a Canadian institution when it comes to vegan (and vegetarian) food offerings and started out as a travelling juice bar called Juice for Life in 1990. It’s no surprise that you will find delicious fresh juices at their five locations across the city, but their main dishes are equally delicious. The Dutch capital, famous for its artistic heritage and maze-like canal system has much more to offer than just coffee shops. Its food scene is fresh and vibrant and as a result, you can find some fantastic vegan eateries in the picturesque city centre. Golden Temple – Eating at Golden Temple in this trendy Dutch city will make you feel like you’ve taken a quick trip to India. The restaurant is decorated with exotic fabrics and paintings and its menu reflects the international feel. Meatless District – With restaurants in the Oud-West and De Pijp districts, Meatless District offers a variety of comfort food classics, from vegan cheeseburgers and Caesar salads to rainbow wraps and delicious desserts. It’s the kind of food that warms your tummy and heart at the same time! The French capital might be better known for its cheese and charcuterie, but there’s plenty to entice the vegan diner. After a stroll around the Louvre or a boat trip down the Seine, here are a couple of meat-free dinner options to try. Gentle Gourmet – Fine French vegan cuisine at its absolute best. If you are looking to treat yourself to a special meal, then Gentle Gourmet should be your destination of choice. The plates look like art and taste even better and the restaurant’s plant-based macarons are to die for. 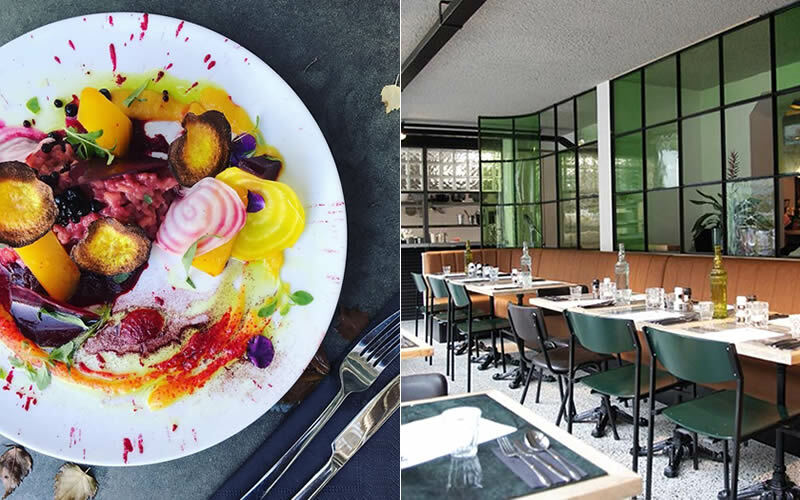 Le Potager du Marais -Traditional French cooking does not have to involve meat-based dishes – it can taste even better when they are purely plant-based. Le Potager du Marais located in one of Paris’ most arty and stylish quarters, Le Marais (as the restaurant’s name suggests! ), and turns vegan eating into a truly sensual affair. This is a guest post from freelance journalist Beatrice Clark. She has written for Vogue, Glamour and Vanity Fair, among others, and has spent the past 15 years living in France, England and Scotland. She is currently based in Berlin and is always on the hunt for the perfect Eggs Benedict. We’ve just returned from Madrid and was so impressed with the Vegan choices in and around Chueca. Would certainly recommend Madrid to other vegans! One of the best cities for Vegan food is in one of the best countries for food in general and Vegan food more specifically – and thats Tel Aviv in Israel. 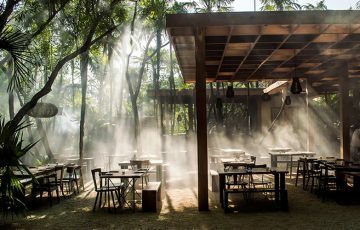 The country has vegetarian and vegan menus in practically every restaurant and has one of the highest rates of vegetarianism and veganism among the population in the world. I think Israel has the most vegeterians per capita than anywhere else in the world…thats what I read …so dont quote me . We’ve just returned from Bristol and am surprised it’s not on this list. A very high concentration of vegan and independent restaurants in a compact centre city made for tourists with a lovely harbourside. Couldn’t agree more, but I am biased because I live in Bristol! Bristol was recently recognised as the vegan capital of the world so it is surprising not to see it in this list! The gentle gourmet in paris was vile and over priced with poor service ! Cafe ginger was a lot cheaper with fabulous vegan food .Try it ! Reykjavik is superb for Vegan food. Kaffi Vinyl, Glo and Veganaes are the stand outs. amazing. What the hell, where’s India???!!! Glasgow was also impressive for Vegan eateries.